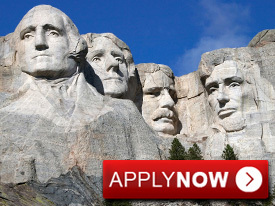 USA - Work and Travel - How to Apply? In order to apply you must be between the ages of 18 and 30 years, and enrolled in a college or university outside of the US. You have to be able to function in an English speaking society. Applicants must arrive in the USA before employment is scheduled to begin, and they must be able to stay for the duration of the programme. They must also be capable of performing the duties and tasks outlined in the job description. Finally, all participants must prove that they have sufficient funds to financially support themselves upon arrival in the US. Read the Work & Travel USA description carefully so that you understand what Global Choices has to offer. Make sure you are eligible to participate. Apply and book the programme using a web form on our site. You will be asked to submit a proof of your student status and passport copy. Global Choices will check your eligibility. Once you received from us further instructions and full application form, you can fill it out and submit it to Global Choices, together with other required documents (and a proof of payment if applicable). There is an application fee, to confirm your participation in the programme and to arrange your interview. If you go for the Self-Arranged option, you must submit the job offer at this point. Global Choices will review your application. If you’re accepted, Global Choices will invoice you for the programme. You need to make this payment before or on the date indicated in the invoice. Once Global Choices has found the position for you, we will send you an Employment Agreement form with the job description for you to sign. After you have signed it, Global Choices will issue your DS 2019 form. You need to go to the USA Embassy or Consular Office in your home country to apply for a J-1 visa. Please note that international students studying in the UK can apply for J-1 visa from the UK. Buy a return airline ticket with dates corresponding with your employment dates. You also need to attend the orientation during which you will be advised on what to do once you have arrived in the USA. Global Choices will contact all self-arranged employers to confirm each job offer. Any falsified, forged, or fabricated job offers will be rejected without refund.